Carpal tunnel syndrome (CTS) is the most common and well-known entrapment neuropathy, or pinched nerve in the extremities. Many people think that carpal tunnel syndrome (CTS) affects only computer workers or assembly-line workers, but that is far from the truth. Though CTS can affect anyone, it’s quite common in athletes. Surprised? Let’s take a closer look! 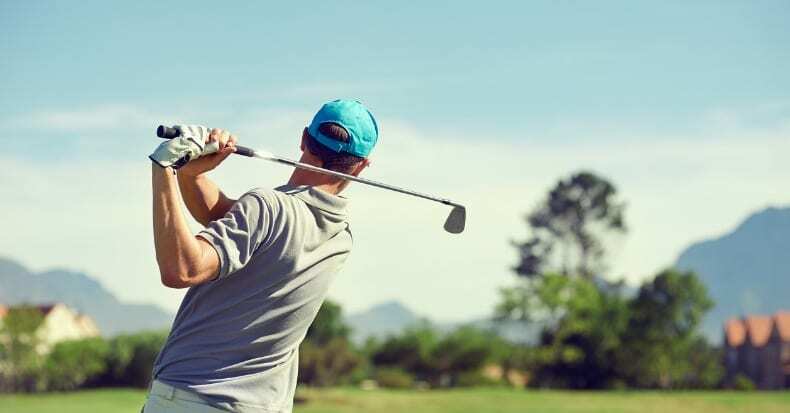 Many sports—including golf, tennis, cycling, and baseball—require a firm grip, high repetition, and little to no rest time, which can exceed the capacity of the soft tissues in the wrist. Over time, this stress can build and place pressure on the median nerve, resulting in the symptoms of pain, numbness, and tingling that are often associated with CTS. Additionally, trauma to the wrist from a sports collision can lead to the rapid development of CTS symptoms. The diagnosis of CTS is typically made by combining a group of findings rather than by one definitive test. The patient’s history and symptoms coupled with the results from several provocative tests, which are easily performed in the office, are typically needed to arrive at an accurate diagnosis. Because CTS can co-exist with other conditions, of which several mimic similar signs and symptoms of CTS, an electromyography and/or nerve conduction velocity test can be extremely helpful. In addition to therapies such as mobilization and manipulation to the wrist and other anatomical locations along the course of the median nerve (the elbow, shoulder, neck, for example), treatment by a doctor of chiropractic often includes the following non-surgical methods: wearing a wrist splint, primarily at night; using anti-inflammatories such as ginger, turmeric, and bioflavonoids; making modifications to the sport (if possible); managing vocational and avocational factors that place stress on the wrist; working with other healthcare providers to manage conditions like diabetes, hypothyroid, or certain types of arthritis that can cause or contribute to CTS; and training the patient in specific exercises that can be interspersed throughout the day. It is very important to stress that EARLY INTERVENTION for CTS typically yields the best outcomes. So please, DO NOT WAIT before seeking care when you experience pain, numbness, or tingling in the wrist, hands, or fingers!